Every day is a new adventure for Anne Turner. 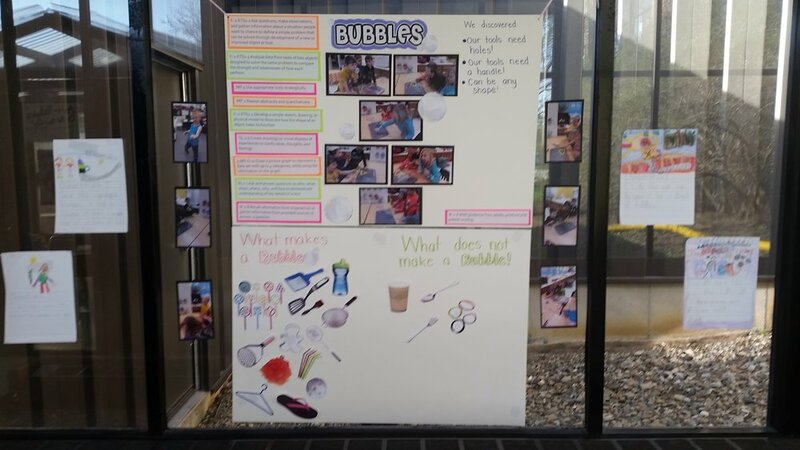 As a kindergarten teacher at North Tama County Community School in Traer, Iowa, she encourages hands-on, active participation in her classroom with STEM (Science, Technology, Engineering, and Math) at the center of her lessons. 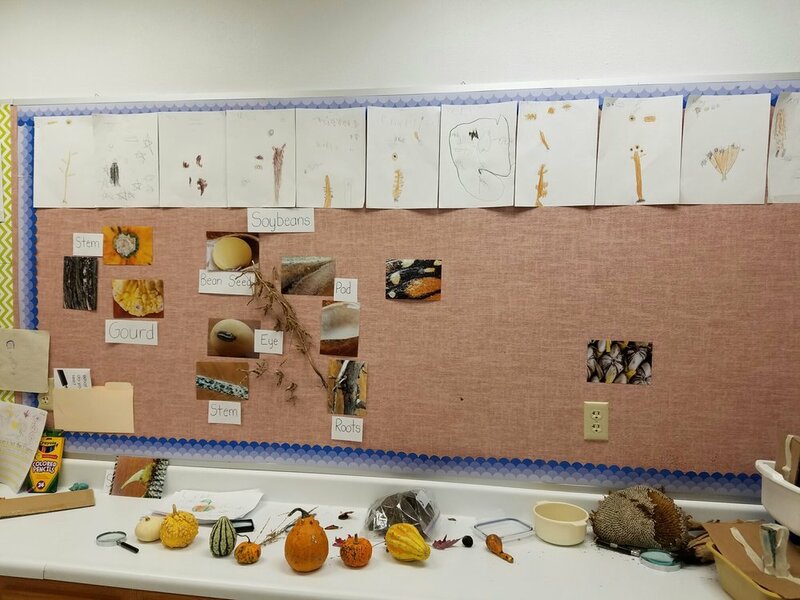 Her love for creating new things sparked an innovative nature that she uses while teaching her kindergartens. Whether it’s producing books, developing STEM centers, or making arts and crafts, she says that hands-on, experiential learning is the way to go. For the Teacher Spotlight, Anne, a FableVision Learning Ambassador, recently shared her favorite things about being a teacher, how she applies Stationery Studio in the classroom, and how she and her students had a blast on International Dot Day 2016! Tell us about your classroom; what is a typical day like? My kindergarten classroom is full of fun! A typical day starts with morning meetings and welcomes. We then get the opportunity to explore different STEM centers. We do many book read-alouds throughout the whole day and this will start a new learning adventure! We focus on literacy and math throughout the day as well, connecting everything together and creating hands on fun… In the afternoons, we focus on Daily 5 and guided reading centers that encourage our independence as young readers and writers! Daily 5 are centers we rotate through that help us learn on a more individualized level. Each child rotates through guided reading (individual work with Mrs. Turner), read to self or to someone else, listen to reading, work on words, and work on writing. These centers can include activities from our STEM investigation, or working on our leveled readers and things we struggle with. The kids go at their own pace and include their own interests! What is a STEM center? These centers are a great way to connect everything you learn in school together and spiral kids’ learning. We don’t have just science or reading time anymore. Let’s say we are meeting the standard ‘analyze data to determine if a design solution works as intended to change the speed or direction of an object with a push or a pull.’ We would, in our STEM investigation, build ramps and use different types of balls to conduct tests. We would also meet our reading standards by looking at different types of texts to support this and by dictating opinion pieces based off of the pictures we take of each others ramps. They become pretty big writing projects. So, STEM, to us in our room, is mixing all of our learning together to truly understand! I hear you have some snazzy uses for Stationery Studio, can you share a few? We use Stationery Studio almost daily! I use the software to create different styles of writing pages to encourage the kids to write and help them get new ideas. I also insert images that connect to a book we've read to help use continue to write about our findings. It is greatly beneficial to my students because they have writing lines (head line, belt line, and foot line) that help guide them to write legibly. With the fun pictures and borders, they are much more encouraged to write. When the kids take a picture of their creation or investigation, and we print it and glue it on the Stationery Studio paper, they feel great ownership! Dot Day 2016 was huge at your school this year, can you share how your students got ready for the day? My students love International Dot Day! This celebration is new to them and we may have read The Dot about 20 times! Our students started learning about how special they are and how we are all unique. We brought in families to see how each family dynamic is unique. We also learned about mixing paint colors to make our own dot and tried to cut out a circle. We had fun decorating dots to fill our halls! As a whole elementary school, each student got to decorate coffee filters and hang them in our hallways to fill the windows. It was so beautiful! Our class also explored all of Peter H. Reynolds’ books, one being The Water Princess. We helped raise $50 for Ryan’s Well as we found it shocking that people in our world struggled for water every day. What was your favorite 2016 International Dot Day moment? My favorite International Dot Day moment this year was getting Peter H. Reynolds into our classroom to talk to my students. Their faces were glowing! We talked about typical “kindergarten” things, like frogs and other random things. Mr. Reynolds drew us a new idea for a book called “Toad the Artist” because the students got stuck on talking about frogs and toads. We are currently working on creating this book! Peter H. Reynolds inspired a lot of people that day at North Tama. My favorite moment as a teacher is working with the kids. I love our Daily 5 centers because I get time to work with the kids on learning individual skills, making books, and writing letters that the kids want to create. We have also extended chapter books and had lots of fun together doing that! You are new to the league of FableVision Ambassadors. What are you looking forward to? I am always looking to learn! I am anxious to explore everything and to use what I learn with my kindergarten students. Always up for new things! Are YOU – or someone you know - activating any of FableVision’s books, media, and/or software to approach learning in more creative, engaging ways? If you'd like to nominate someone for the FableVision Creative Educator Spotlight, click here and complete your submission electronically.